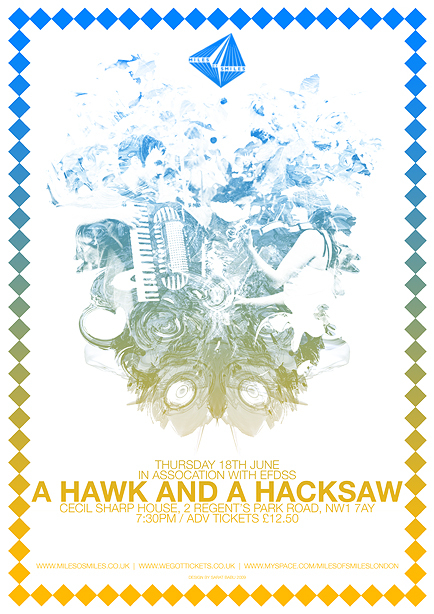 Win A Hawk And A Hacksaw London Tickets! A Hawk And A Hacksaw's European tour is in full swing, and the UK leg begins next Tuesday 16 June in Brighton (which has almost sold out already!). All the dates can be found by clicking here. What was the name of the Hungarian group that A Hawk And A Hacksaw recorded and toured with in 2007? Email your answer, along with your name, to this email address by midnight on 17 June. Our listening habits, laid bare. I visited the Futurism exhibition at Tate Modern yesterday, before A Hawk And A Hacksaw's gig at Cecil Sharp House. Like Punk, Futurism was a movement that burned briefly but brightly, and its afterglow dramatically influenced a host of European art movements throughout the 20th Century, including Cubism and Vorticism. I've long been drawn to the extraordinary graphic design produced in this period, that similarly influenced people like Peter Saville at Factory and Trevor Horn and Paul Morley at ZTT (Zang Tuum Tumb and The Art Of Noise both take their names from Futurist works), but I found most of the paintings by the original Futurists a bit dull, if I'm honest. The theories and manifestos are more interesting, though I'm conflicted by the aggressive masculinity and misogyny of the Italian Futurists - founder FT Marinetti was clearly a sexist boor and a bombastic speed freak and the sort of person you would probably avoid at parties. It's very easy to see how some of Futurism's advocates were irresistibly drawn to fascism. And yet, like Malcolm McLaren 65 years later, Marinetti's controversial and uncompromisingly anarchic manifestos still make for exhilarating reading. Particularly notable, and the reason I'm writing this now, is his manifesto for Vital English Art, written with the English painter CRW Nevinson, which I hadn't come across before. An extravagant self-publicist, Marinetti was always looking to stir things up for his own ends, but many of these arguments are a kick up the arse for English artists even today. You can read the whole thing here. 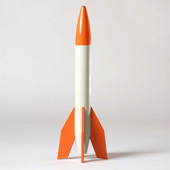 The Moritz von Oswald Trio release their debut album, Vertical Ascent, this week. The trio consists of legendary techno/dub producer Moritz Von Oswald (Basic Channel/Chain Reaction/Rhythm & Sound/Maurizio,etc), along with Max Loderbauer (NSI/Sun Electric) and our own 'Sasu Ripatti (Vladislav Delay). They've been performing together for a couple of years, but this is their first release together. On the record, Ripatti plays his homemade steel drums, Loderbauer plays synth and von Oswald adds Fender Rhodes and additional percussion. The album is released through Honest Jon's Records and audio snippets and links to buy the album can be found here. You can keep up to date with all of Ripatti's live projects (including Luomo and Uusitalo) here. A Hawk And A Hacksaw and Efterklang both played at Other Music and DigForFire.tv's SXSW Lawn Party earlier this year. Dig For Fire recorded much of this party, and you can catch videos of our bands at the following links. The video for 'Mirador', taken from 2007's Parades has reached one million views on YouTube. The eye-catching video, based on the album's artwork, was made by Hvass & Hannibal & UFEX and can be seen below.